Shanti Gopal Hospital is a Multi Speciality Clinic in Indirapuram, Ghaziabad. The clinic is visited by psychiatrist like Dr. Rajesh Kumar,Dr. Shipra Nagar and Dr. Kavita Nagpal. 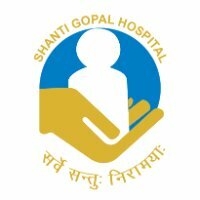 The timings of Shanti Gopal Hospital are: Mon-Sun: 00:00-23:55. Some of the services provided by the Clinic are: Cervical Spondylitis Treatment,Artificial Insemination,Parenting Issues & Doubts,Amalgam Removal and Scaling / Polishing etc. Click on map to find directions to reach Shanti Gopal Hospital. *** ** *** ** *** **** ************* ** ************ I had normal delivery, just because she tries for that. Even other services for various treatment are satisfiable. I visited the Dr Megha today -19 sep 2016 and I found her very polite, patient. She diagnosed and explain the infection in detail. Prescribed medicine and asked for a visit again.